Front Row has exclusively revealed the 20 writers shortlisted for the 2018 edition of the Costa Book Awards. Among the nominees vying for the £30,000 main prize are some familiar names alongside 10 debuts. 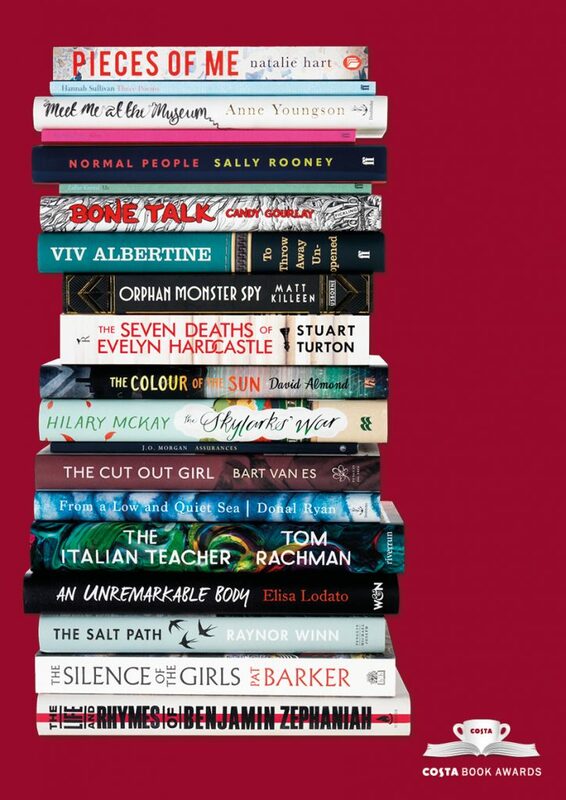 The awards are split into five categories – novel, first novel, biography, poetry and children’s book – with the winner taking home £5,000 before an overall winner is named Costa Book of the Year on Tuesday 29 January. Former Man Booker Prize winner Pat Barker competes for the novel award with her fourteenth book, The Silence of the Girls. At 75 she is the oldest nominee in any category, but she will face stiff competition including Irish novelist Sally Rooney, who at 27 is the youngest. Rooney’s second novel, Normal People, has received widespread acclaim and will be placed among the favourites for the prize. To see the whole list of nominees click here.